A week before Thanksgiving, I was driving home from class when a 73-year-old man pulled out in front of me. Without enough time to stop, I swerved to avoid the driver and slammed into his rear passenger door. Thankfully, we both drove away physically unharmed. 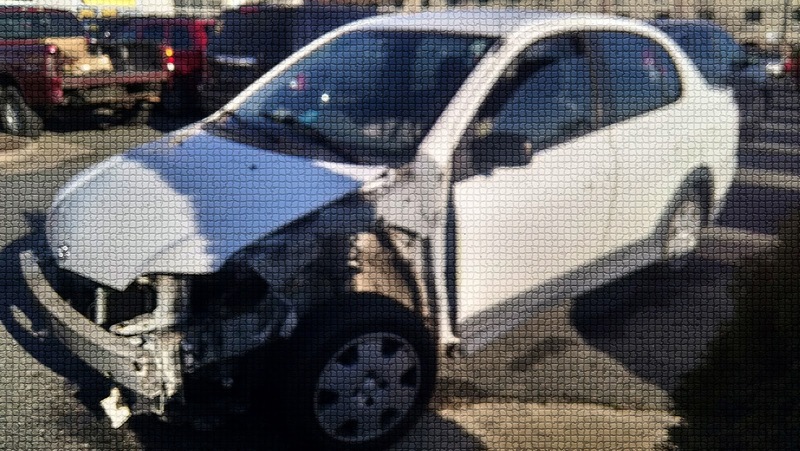 I spent the following week learning that, despite the fact that my airbags didn’t even deploy, my 15-year-old vehicle sustained enough damage to be considered a total loss. I wasn’t surprised. My mom bought the car when I was in eighth grade and gifted it to me a few years ago when my truck was in disrepair. I had spent my licensed days without a car payment. I always said that I’d drive the Echo until the wheels fell off. There was no backup plan that considered anything less than invincibility behind the wheel. It’s been less than a month, and I now have a car payment along with increased insurance and property tax. Finding room in my budget for newfound debt means reducing monthly payments on prior debt and amplifying how helplessly trapped I feel trying to climb out of the cycle of consumerism and subsequent debt. How long do I want to spend earning money to pay off debt? Will I ever have the financial freedom to fund travel and exploration? Will I ever be able to afford to take enough leave to travel and explore? Will I ever be able to save a substantial emergency fund? When will my finances match my lifestyle and values? When will I embody the “free spirit” mentality that so many use to describe me? When will I truly embody minimalism with less impact, consumerism, and contribution to facets of a society I don’t fully support? The self-analysis is ongoing, but this recent event was the tipping point to make serious changes to my current habits, adopting ones more closely aligned with the lifestyle and financial position I envision for myself. Have you had a “tipping point” moment to make a significant change?